Beachfront cottage on a private beach with direct beach access! 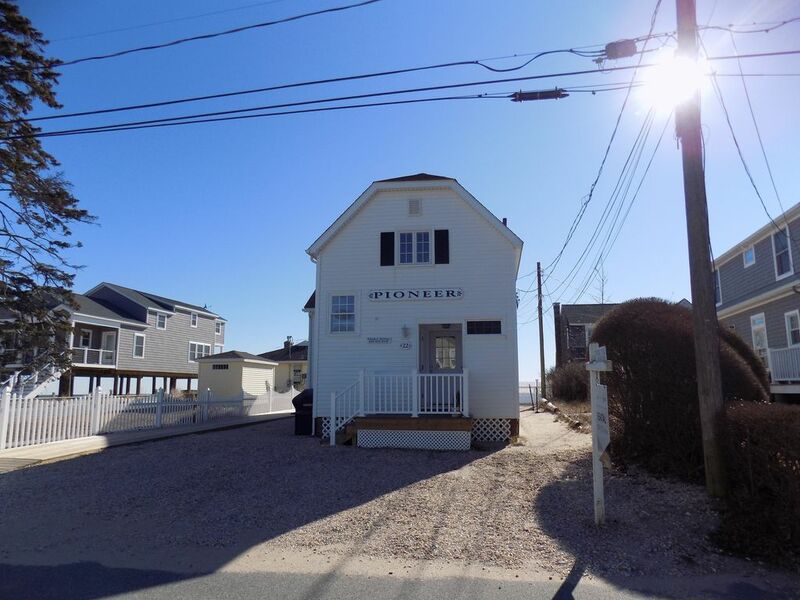 You will be right on the beach with Air conditioning in a newly updated house! Walk out the door and put your feet in the sand. Just a few steps and you be in the water or laying back in your beach chair under the sun with a drink in your hand! The "Beachfront beach cottage" offers beautiful waterfront views and relaxing ocean breezes which are sure to blow your worries away. With unit 1 offering 3 bedrooms there is plenty of room for friends and family to come and enjoy all that Beachfront living has to offer. Meticulously updated in a perfectly bright and airy beach cottage style you will love the time you spend here and cherish the Family memories you’re sure to make. The "Beachfront Bungalow" is right in the Heart of Hawk's nest Beach which offers an array of activities for families and kids ranging from crabbing contest to movies on the beach and everything in between. We love the beach down here and we know you will too! This unit has been lovingly renovated this year and professionally designed in the beach house "shabby chic" style. There are so many bright windows that give you great views of the water from almost all of the rooms. You can hear the waves crashing from every bedroom which will ease you to sleep each night. Truly a unique beach house that is brand new and in an amazing location! We also have central air and heat which many of the cottages down here do not offer. If you choose to stay here you will be happy you did! Right on the beach and you have central air and heat!